I want to add more than 10 products, how can I do it? Can my checkout bot talk in a language other than English? I want to add more than 10 events, how can I do it? How can I customise my jumper e-mails? 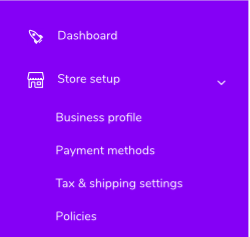 How do I set-up local and global/cross-border shipping rates? Welcome to jumper. We have put together this guide to help you get started. Note: We suggest to stay logged in to the dashboard. No need to log out unless you&apos;re accessing it from a public computer. Setup your payment gateway through which you want to receive money. Your sales platforms should be connected. These are found in Integrations. Fill in the policies- refund, cancellation, shipping etc.